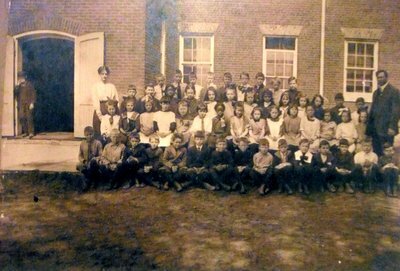 A photograph taken in 1948 of a class of 52 grade 5 students at Central School. The school was located on the site where the current Central library stands. The photograph features the teacher, and the janitor who would ring a bell to signal recess. Central school had a mixture of students coming from different backgrounds. Students would need to keep doors and windows closed to keep out pests from the nearby dump.